Steve Harvey‘s new show “Steve Harvey’s Funderdome” will premiere this weekend and it looks like a lot of fun! The show allows contestants to win anywhere from $10,000 to $100,000 and has been described as a cross between Shark Tank and American Idol! 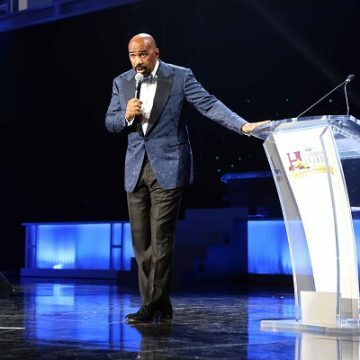 “Steve Harvey’s Funderdome” will premiere Sunday night at 9:00 on ABC. Steve Harvey Takes Over Sunday Night TV!